if i remember right , this is dealul cetatii (citadel's hill) street , a little known part of the city , a quiet residential street with some old houses . 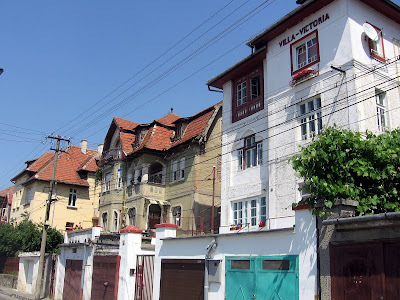 great place for a walk , coming from the city center on iorga street , eminescu street , dealul cetatii street and going down to the long street then back to central park . republicii street , the pedestrian street in the heart of the old town , the place where one can find all kinds of small shops , services , restaurants , cafes . 13 december street is under re-construction , utilities , street , sidewalks (i will post about it next week) so i had to walk on the small streets behind it . 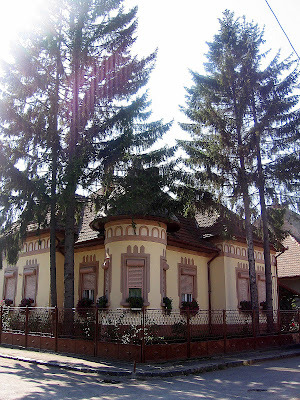 at a corner i found this beautiful house recently renovated very charming with the 4 tall trees and in the bright afternoon sun . it was the first shopping centre with individual small shops that took the concept of a bazar a step further . now the majority of the shops are selling clothes and shoes and mostly from china and turkey , relatively cheap but the quality , design and style also on the "cheap looking" side although there are so many shops that if you really want something and you're patient and resistant you might find something nice . 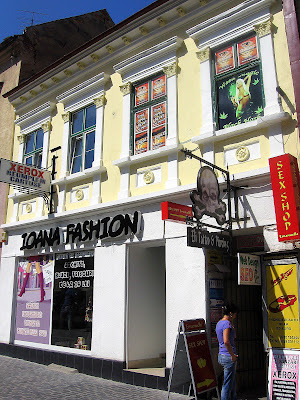 the place (together with the nearby older building) is a lot bigger than you can see in these pictures and everybody knows about it and i'm sure that everybody in brasov has something bought here . yeah ... "i'm getting old"
2 new trees growing from a building on republicii street right in the heart of the old town . 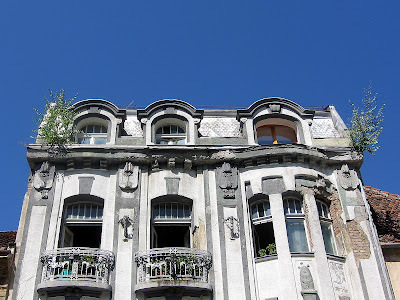 it looks funny and interesting but i'm not so sure the owners or the people who live there are that happy about it because you can see it's falling apart although it was renovated a few years ago . the quality of light in the afternoon sun when you are usualy coming home. 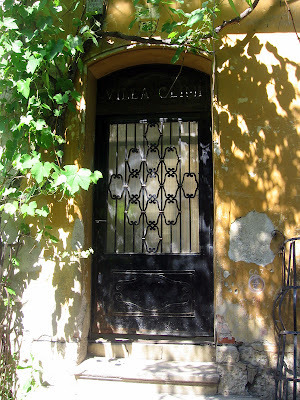 the entrance of an old villa "villa climi" on eminescu street on the citadel's hill . sometimes a picture is not enough and it doesn't worth a thousand words . 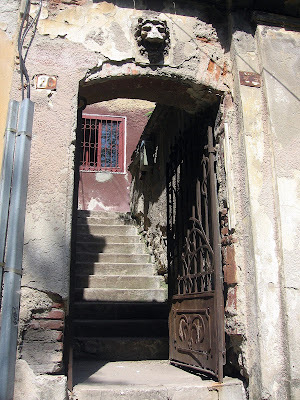 you have to be there , to feel the sun , to see the shadows , to listen to the street's noise , to smell the scent of time in the old walls of an old house . 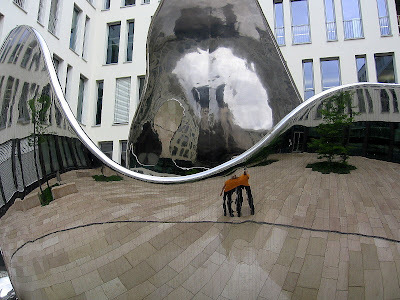 just passing by during an afternoon walk in the right place and you can be in a different city and in a different time . 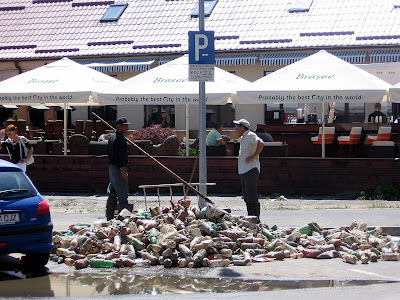 we have to admit that in the last few years the city is much cleaner than before . who and what is responsible for that ? 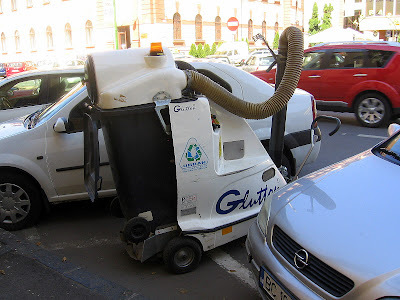 the "glutton" !!! love the name . and you can park it just like a car . where is the handle "driver" ? 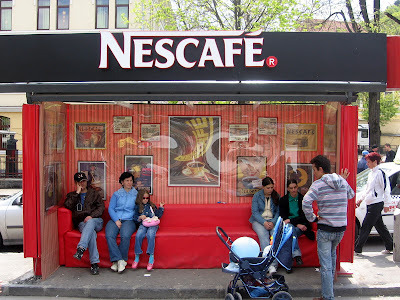 the newest coffeeshop in town ... is actually a bus stop . looks very comfy and it would be soooo great if they really served coffee . or maybe they did ... morning hours only . 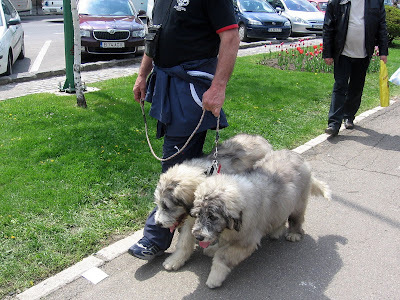 these are romanian shepherd puppies .